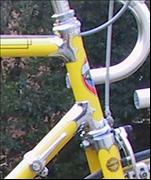 "Cantiflex" center bulged Reynolds 531 frame tubes, oversize in middle, with standard size ends to fit decorative lugs. This gives lighter, stronger , more rigid frame. 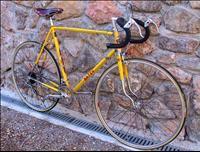 Short wheelbase, steep head angle with "diadrant" forks to absorb road shocks. Main Tubing: Wheel Size: 27"